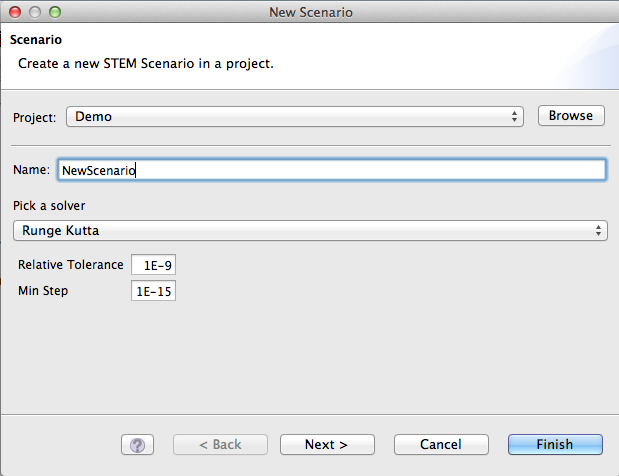 When you create a new scenario in STEM, you need to specify which solver to use. A solver is simply the method used to determine how the state of a simulation changes from one time step to the next. Models for populations and diseases in STEM are all designed to carry out this change or derivative calculation given a current state. 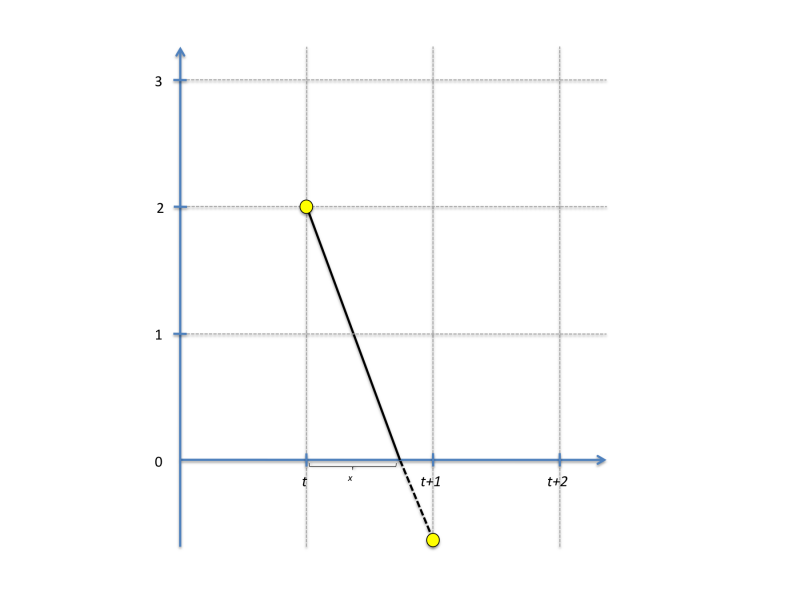 How the derivative is applied to determine the next state is where solvers differ. You decide which solver to use when creating a new scenario. New in STEM 2.0, you can run STEM models stochastically. Some infectious processes are by nature stochastic. In a stochastic model, all transitions (e.g. between infectious compartments) are drawn from a discrete binomial distribution (using the Apache Commons math library). As a consequence, only an integer count of humans (or animals) are transitioned from one state to another. This is also what takes place in the real world. The stochastic solver in STEM takes one input parameter, the stochastic seed. Varying the seed from one run to another will results in a different outcome and running multiple simulations varying the seed can give you an indication of the range of results possible. If the stochastic seed is the same between two runs the output of the model is guaranteed to be identical. As for any solver, you can pick the stochastic solver when creating your scenario. The algorithm finds the smallest x among all differential equations solved and rescales all label values accordingly. If necessary, multiple partial steps are carried out.